Patrick Adam, graduate student from University of Idaho, has been working on developing techniques to predicting wood pecker habitat using GLAS satellite lidar. 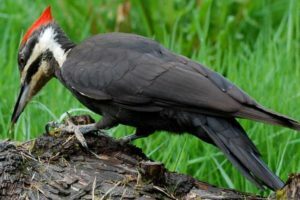 Researchers from University of Idaho have proved they can predict the presence of the Pileated Woodpecker in a coniferous forest in northwestern Idaho, using small footprint airborne lidar, large footprint satellite lidar from the Geoscience Laser Altimeter System (GLAS), and field survey data. The results were presented at the annual meeting of American Geophysical Union (AGU) in December, 2010. Their work was also featured in BBC News: Space laser spies for woodpeckers.